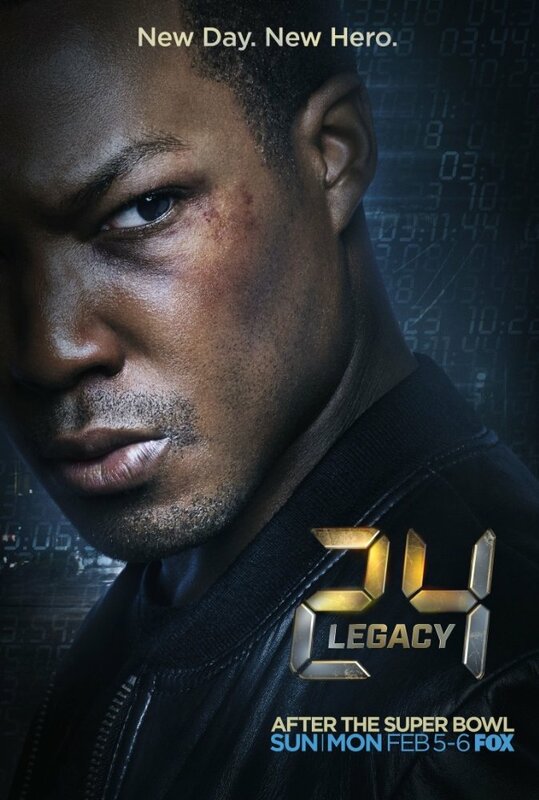 24:Legacy created by Manny Coto and Evan Katz for FOX Network follows Eric Carter (Corey Hawkins), an ex-Army Ranger who has returned to America and ready to begin a new chapter of his life with his beloved wife Nicole Cater (Anna Diop). But instead, he finds himself hunted by the followers of the terrorist leader Sheik Ibrahim Bin-Khalid who was killed by the special SWAT, of which Eric was the part of. What he thought in the beginning was proven wrong when he realizes the real reason of the terrorists coming after him, and now he and Rebecca Ingram (Miranda Otto), the former head of CTU must cooperate to stop the upcoming largest terrorist attack on American soil. The pilot episode overloads with lots of details, as we find out that Erica used to be romantically involved with Eric’s older brother, Isaac (Ashley Thomas). Rebecca is getting ready to support her senator husband, John Donovan, who runs for President of the United States. However, during the transitioning process, Rebecca returns to her old office to finalize the process when she receives a call from Eric that disturbs her greatly. Since Eric had to ask CTU to save his life, he learns that all his comrades got killed along with their family members, except Charlie Hofheimer, who holds the key to answers in his hands. As we learn the main reason of Eric being hunted, he quickly decides to leave his wife with his older brother and help the CTU to stop the attack, which won’t be so easy. These and I hope many other facts prepared for the viewers will be the main storyline of 24: Legacy to the continuation of the events that happens right after 24: Live Another Day and set in Washington, D.C. Following the same format, 24: Legacy’s pilot episode was action packed, intelligent and quickly developed in terms of the background of its lead characters. We get to know a few interesting facts about Rebecca, Eric, Isaac and Nicole, which is already interesting on its own. On top of that, the series itself is engaging, intense and promising. However, if you’re an absolute fan of Jack Bauer, you should certainly give at least a chance to its spin-off, as based on the pilot episode, you won’t waste your time by spending your 45 minutes to it and maybe more, if it earns your trust, the way it did it with me.